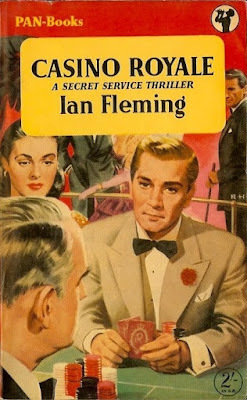 Truth be told, Bond has appeared blonde on several Ian Fleming book covers, including his very first illustrated appearance on the 1955 Pan UK paperback edition of Casino Royale. Horror! I'm certain that book is German (it says 'printed in Finland' but mentions Hamburg on publisher's page and the text on the front is German) but I agree the artwork doesn't match the story; the girl and the dragon are all a little to Eastern for that story inspite of the lead villain's origins. It's not very thematic of Jamaica. 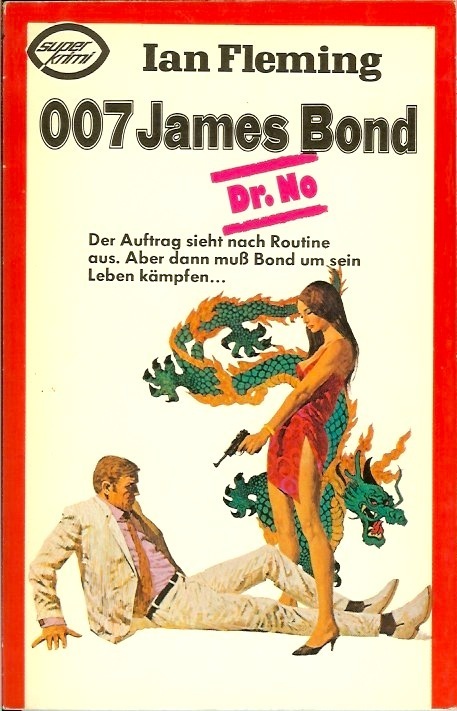 Peter Lorenz of the Illustrated James Bond blog says he thinks the artwork is probably by Robert McGinnis, the illustrator of the Girls-in-the-bathtub poster for You Only Live Twice. It does look like his style. It IS an illustration by the great Robert McGinnis! 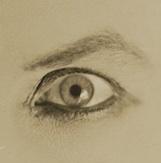 The illustration has also been used as the cover to Scott C. S. Stone's book "The Dragon's Eye", published in the USA by Fawcett as part of their 'A Fawcett Gold Medal Book'-series. You can see the cover to "The Dragon's Eye" via this link: http://www.raggedclaws.com/home/2010/08/12/look-here-five-vignette-style-covers-with-art-by-robert-mcginnis/. Thanks guys. You know, I thought this might be McGinnis. No excuse for not seeing that it was German. I won't be, though, for naming Peter Lorenz's blog incorrectly! 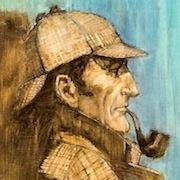 It is of course The Illustrated 007 blog. In fact, here's a link to his site and the big scan I did of the art to this very cover.